Thank you for visiting our website. 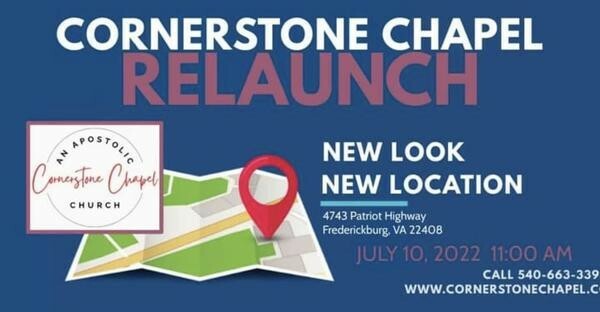 Cornerstone Chapel is a growing Apostolic church located in beautiful King George, Virginia near historic Fredericksburg. It is our vision to help our guests and church family to Love. Grow. Serve. Give. 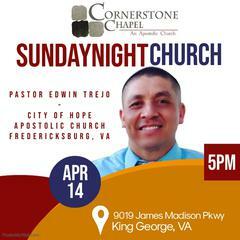 We invite you to join us this week so that you can experience the power and presence of God in your life. 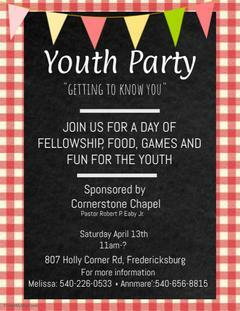 If you would like to talk or have any questions, please call us at 540.663.3398 or email us at cornerstonechapelkg@gmail.com. Our church family is hosting a 13 week video based DivorceCare group beginning Monday, April 1st at 7 PM. This program is designed to help those that are hurting from separation and divorce. For more information or to register, please click here.